If €480 is a bit steep for you I have a great Look4Less! 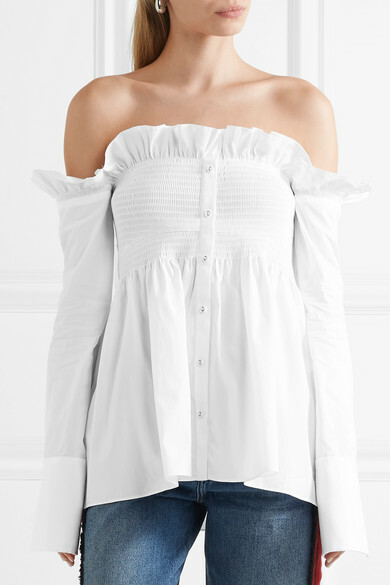 This off the shoulder top from New Look is an almost exact copy of the Victoria by Victoria Beckham blouse. But you better hurry, I'm sure this New Look shirt will be sold out in no time (just click the image to shop).